It's that time again, monthly favorites! I'm a little late this month but I vowed to get it done after slacking over the summer. The list is shorter but I still have some great items to share with you. Check it out! 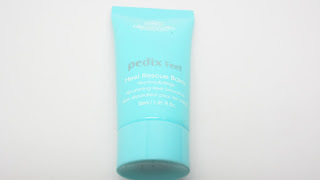 Alessandro Heel Rescue Balm - Kinda random to include a foot cream. 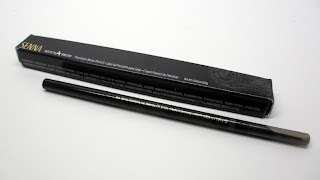 I probably wouldn't have purchased this if it hadn't been in my GlossyBox but boy does this work! On those days when your feet are exposed and looking ashy and feeling kinda rough, this instantly transforms them! It's great when you don't have time to exfoliate. It really does work. 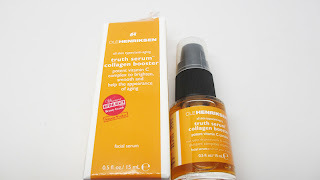 Ole Henrickson Truth Serum - I recently ran out of my Jurlique serum so I started using this after I got it in my GlossyBox. It smells great and keeps my skin supple and moisturized. Graftobian HD Pro Powder - I finally picked up my personal shades in the full-sized compact. They look great on the skin - you will definitely find your color match. Never looks cakey on but gives a nice demi-matte finish. Holly B Organics Toner Spray A few spritzes of this witch hazel and honey based spray and my skin is instantly moisturized and softened. I love applying this after I wash my face. It gives MAC fix plus a run for its money! Mario Badescu Hyaluronic Eye Cream - This product really sinks in the skin. The area around my eyes feels soft and moisturized literally all day. I was stoked to see it on Hautelook so I bought it again. When you find an eye cream that actually works, stick with it. Senna Sketch-a-Brow Pencil in Medium Taupe - I've had this product for several months. At first I thought it was too light but it's actually perfect for a natural brow look. The consistency is just perfect for light, hair like strokes without going too heavy. Denman Hair Brushes - I got a couple of these to review from www.Folica.com. I know that Denman is the creme de la creme when it comes to hair brushes. They have all sorts of styles which have definitely kicked up my hair game. I particularly love the detangling brush, the blow drying brush, and then curved blow out brush. 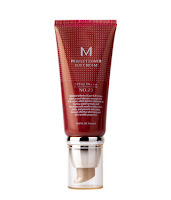 Missha BB Cream in Golden Beige - My most favorite of the favorites for the month. Love this! The finish is fuller coverage but still looks like skin. The color match is great too. MAC Pro Long Wear Concealer - Interestingly enough I thought this was going to be a Not So Favorite. I don't like the way it looks on it's own...too drying and unnatural and honestly the pump squirts out too much product. But on top of high coverage foundation like my BB cream, it looks amazing. I use a lighter shade to highlight. Revlon Colorstay Liquid Liner in Blackest Black - I've used this product for years. It's in my kit and I recently went back to the old school packaging with the wand and pot because I find it so much easier to use and it doesn't try out as much as the pen formula. Sonia Kashuk Full Glam Lashes - These lashes are a definite go-to. They look great on and they last forever. They're easily accessible at your local target. I'll always buy these lashes. What are some of your favorites? I'm excited to see what people are loving for fall. Leave your recommendations in the comments below! The missha bb cream didn't work for me unfortunately.. The shade was just way off..